For a limited time only, buy one Assassin's Creed game on the PS3, get another one absolutely free. If you needed a reason to pick up Assassin's Creed: Revelations at launch, how does getting an entire game for free sound as an incentive? Ubisoft has struck a deal with Sony to include the original Assassin's Creed with day one copies of Revelations on the PS3, letting players go back and relive the first part of the series. While a lot of the people that are going to buy Revelations will already own the original Assassin's Creed, there will also be more than a few who don't, and giving it away for free - which I can't imagine is really costing Ubisoft all that much to do - is a good way of snaring them. Obviously, it's good news for Sony too, as it's made the PS3 version look pretty appealing to people who can choose which platform to play it on. It's not such great news for Microsoft of course, but two out of three isn't bad, right? 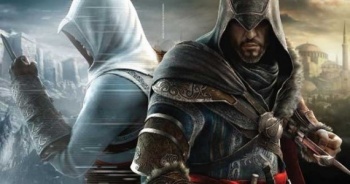 Assassin's Creed: Revelations comes out for PC, PS3, and Xbox 360 on November 15th.